He is a graduate of London City College and Nottingham University in England. Holds a Bachelor of Arts Degree from Boston University, USA. He is a member of the Rotary Club of Kampala East and organization of Rotary International-Chicago. He worked as the Assistant Secretary, Ministry of Commerce in the Uganda Government. He has a career in Social Work and Social Administration. He is the head of ‘Nsuma’ Clan and served as a member of Buganda Lukiiko from 1997 to 2013. He served in the Mukono District Land Board between 1998 and 2008. He is a member on the Board of Directors for Namulondo Investments Limited. Dr Kasirye-Alemu has a Phd in Food Science and Technology from Canada and a Masters degree in Dairy and Food Science from Canada. She has a degree in Agriculture from Makerere University. 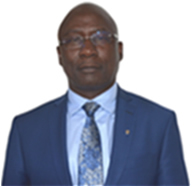 Thobani is the Minister for Planning in the Buganda government and the Chairman of Four Ways Group of Companies. He is a reknown Enterprenuer with many businesses. Mr. John Kitenda holds a Masters of Business Administration (Projects) and a Higher Diploma in Marketing from Makerere University Business School. He is also a graduate of Commerce (Accounting) from Makerere University Kampala. He is a director at Majestic Brands and Namulondo Investments. Holds a Masters of Science degree in Management and Implementation of Development Project from Manchester University. Mr. Male holds a bachelor's degree in Library and Information Sciences from Makerere University, a diploma in Project Planning and Management, and a Postgraduate Diploma in Human Resources Management.